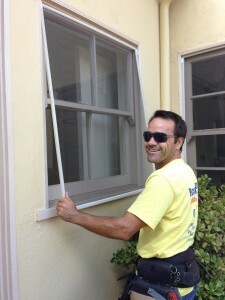 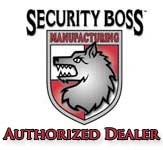 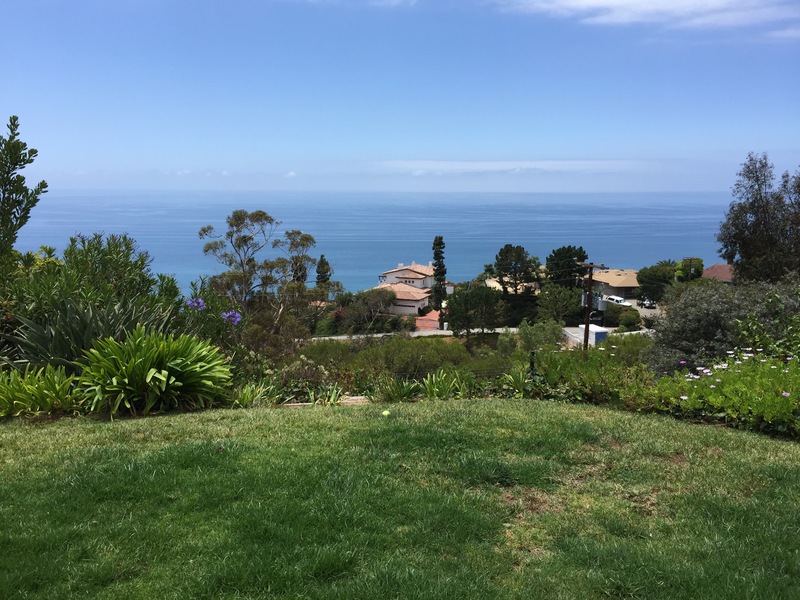 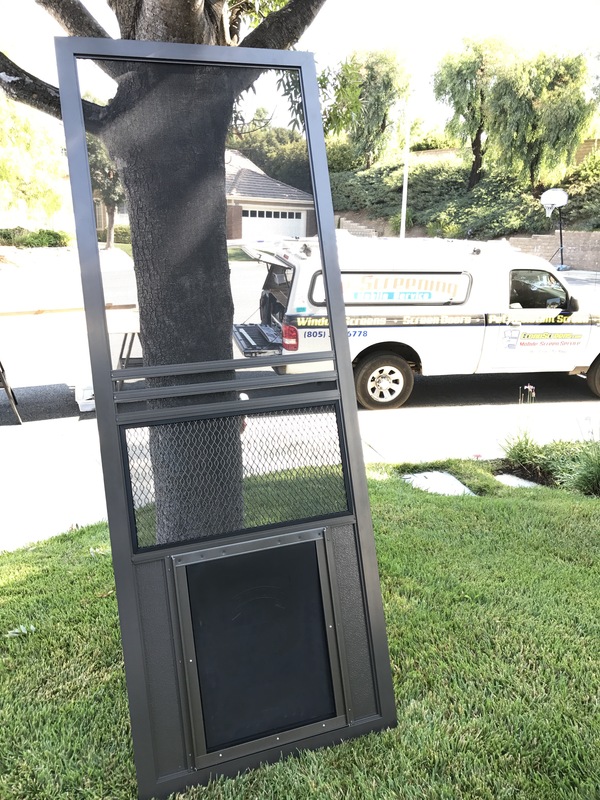 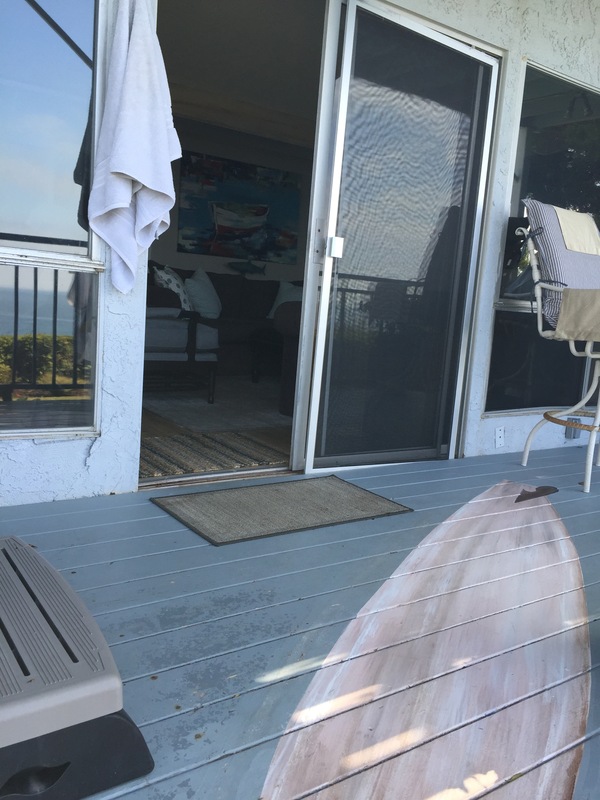 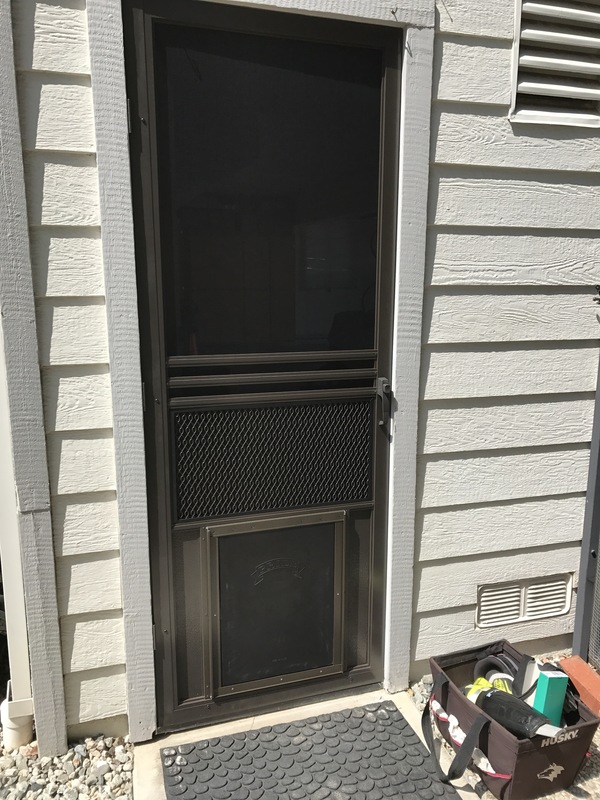 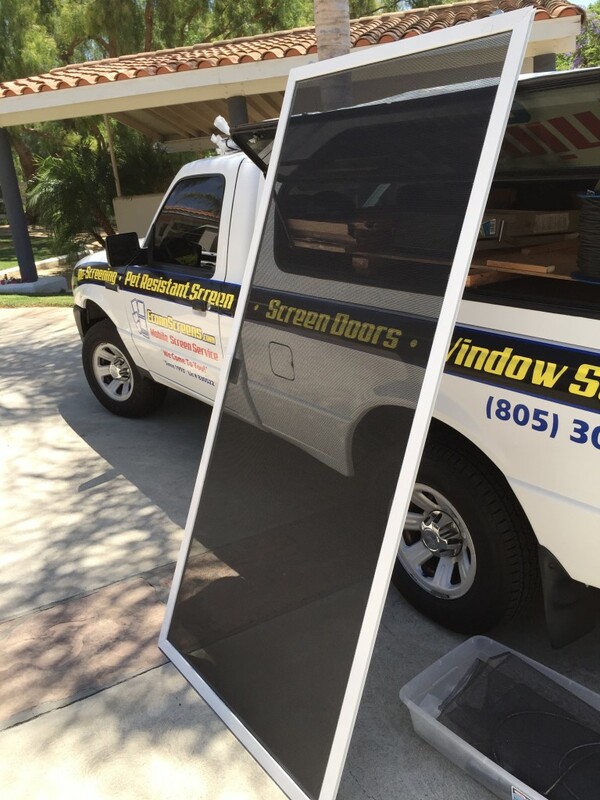 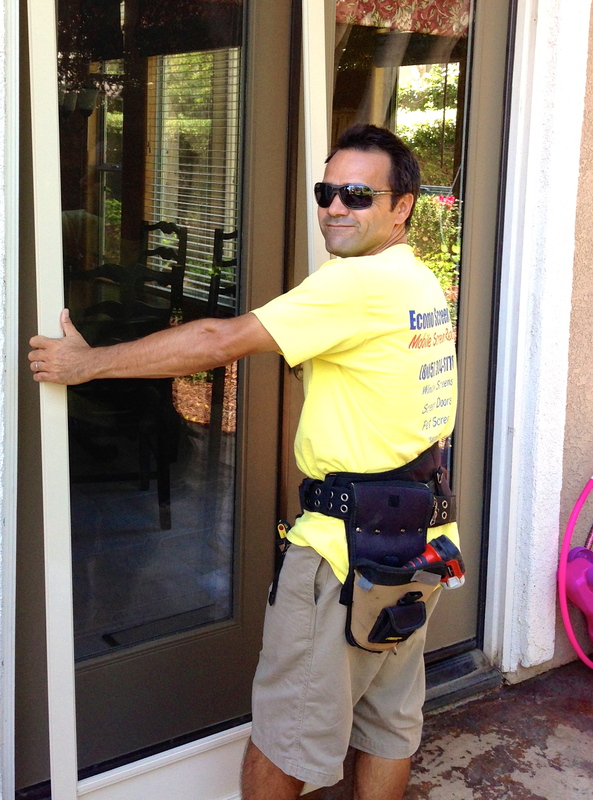 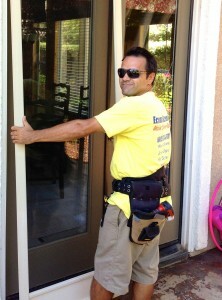 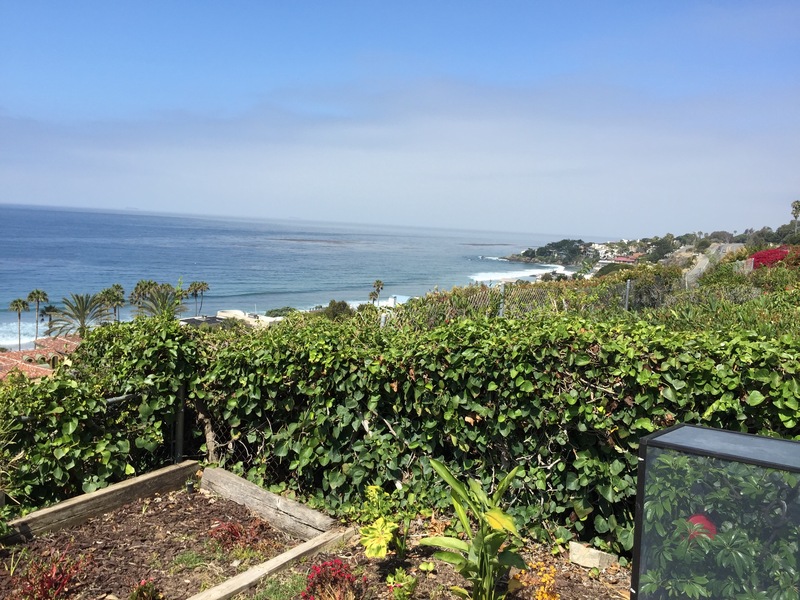 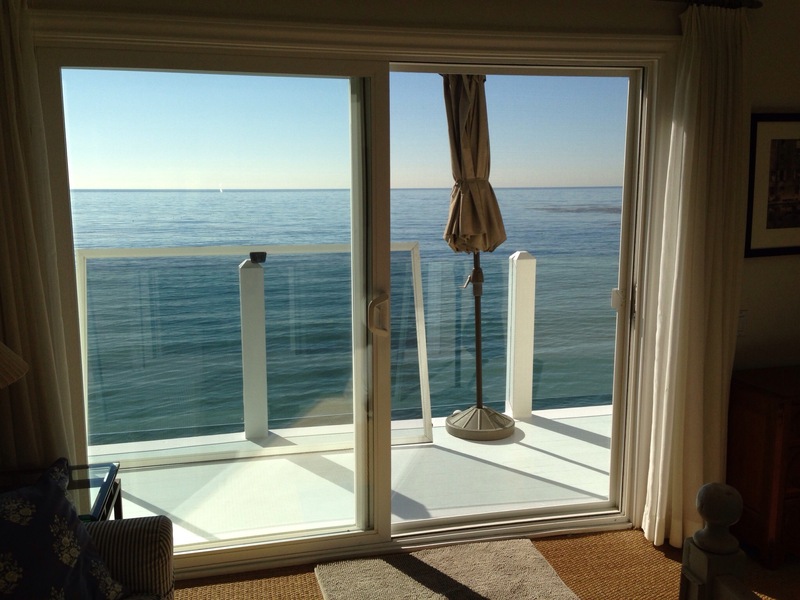 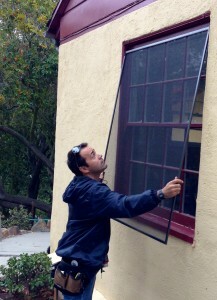 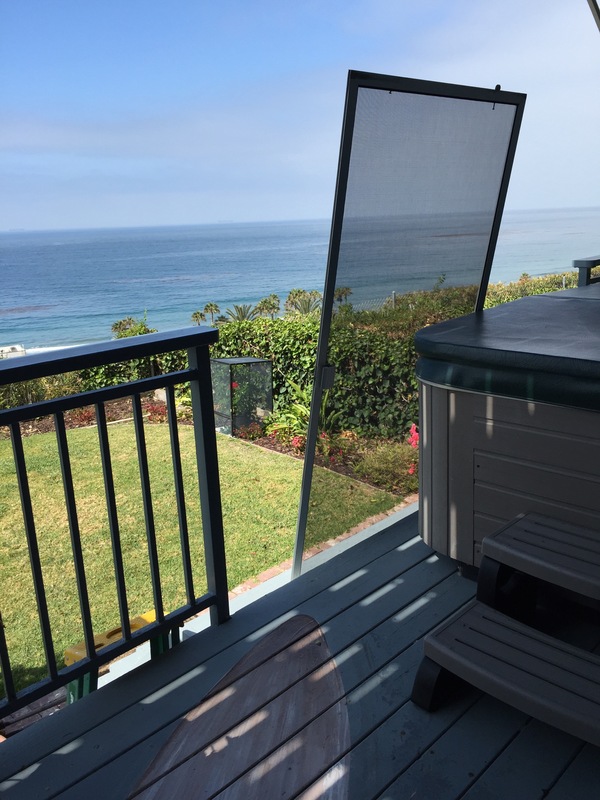 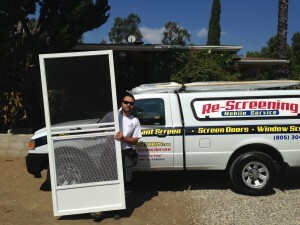 Screen Doors | Screen Door and Window Screen Repair and Replacement Simi Valley, Thousand Oaks and Surrounding Areas. 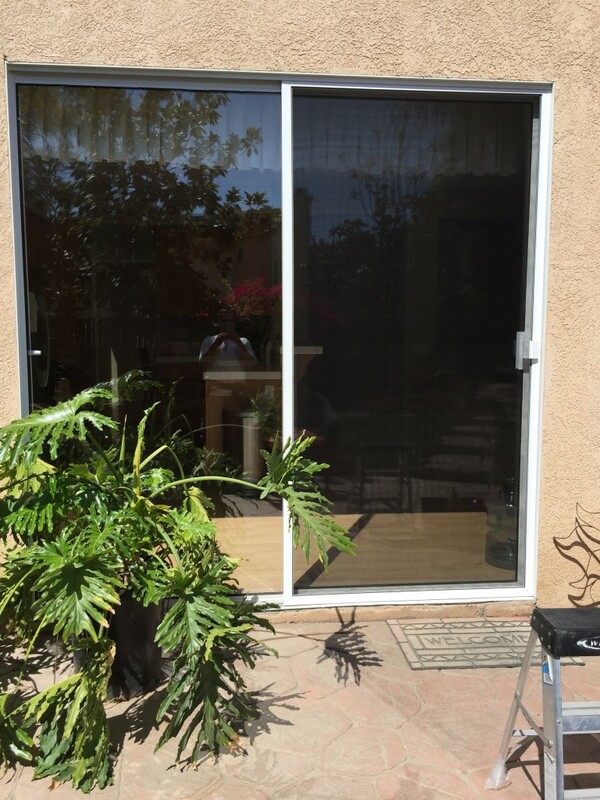 Swinging Screen door with large pet door in the center, bronze color installed today in Newbury Park. 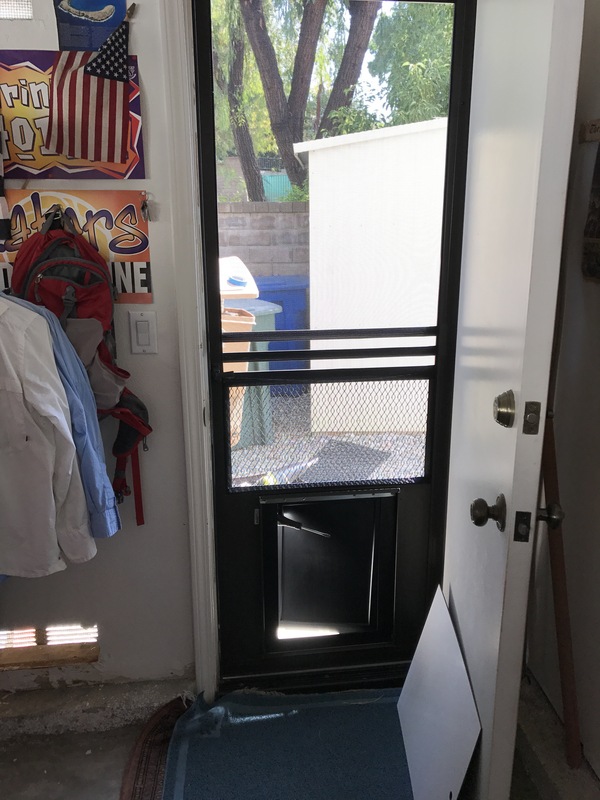 Do you have a pet and are tired of having to get up to open the screen door so they can get out or in? 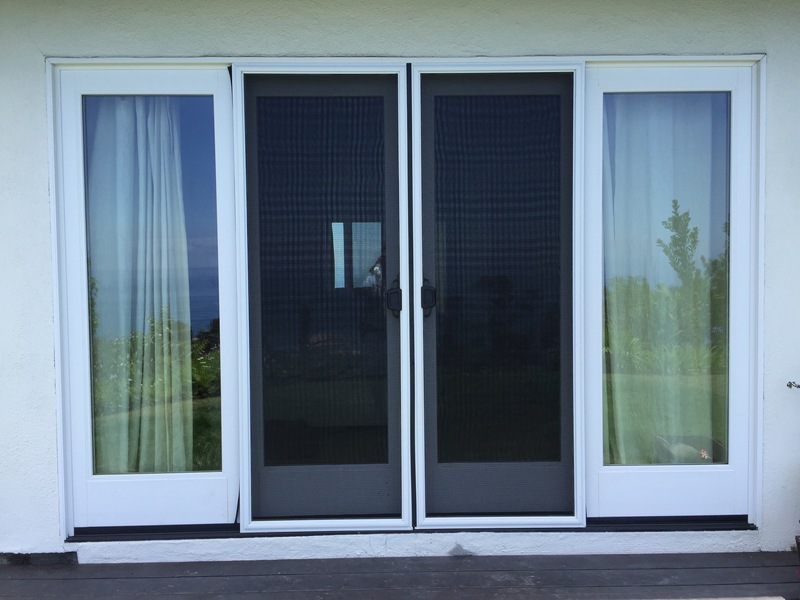 Our hung screen doors come in several different styles , colors and mesh choices and are maintnance free! 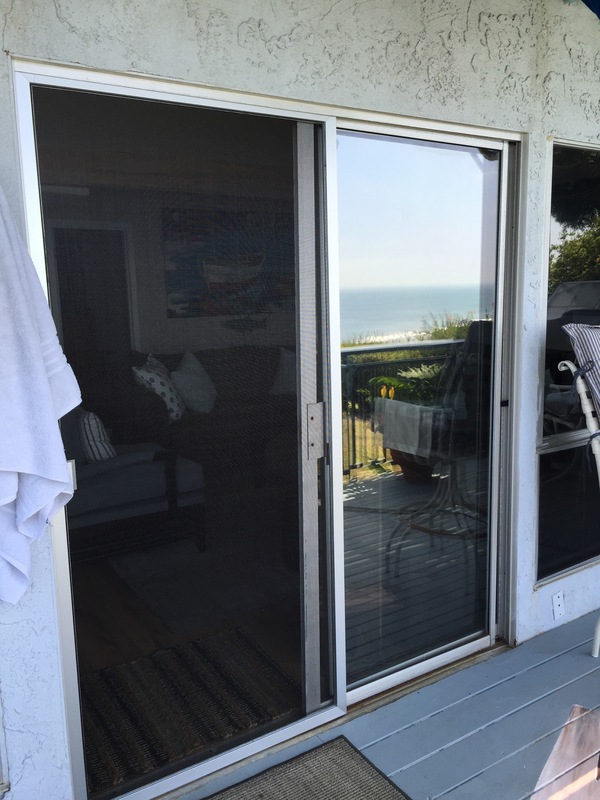 They will last for years Willy problem and you will be able to open and close them many times per day without any problems.